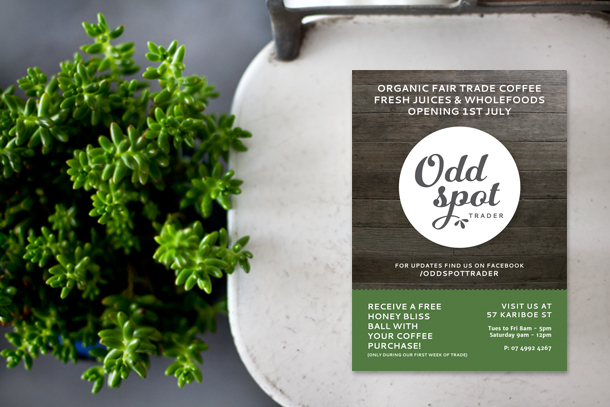 Odd Spot Trader is a new start-up based in Biloela (QLD) created by Kim Stringer who has a passion for fresh whole organic produce. 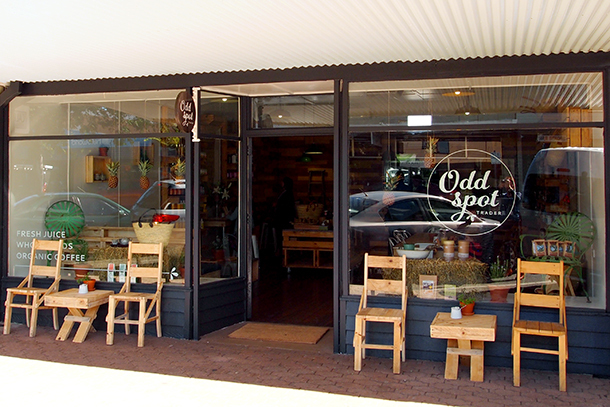 Odd Spot Trader’s business philosophy follows an organic raw focus to offer the small community of Bileoa a variety of healthy Australian made and locally sourced products. 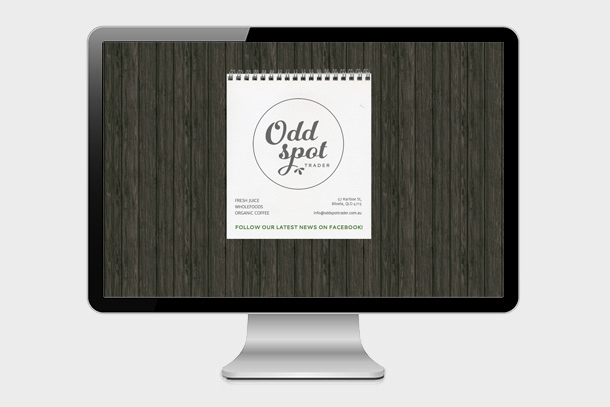 The design brief was to create a fresh logo, incorporating elements that promote natural / organic and an earthy feel. Design, colour and texture inspiration came from the shop interior fit-out designed by Rebekah Cichero. 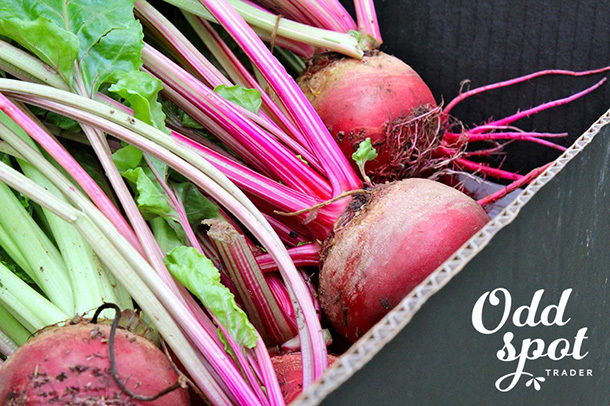 A herb / juice element was included to compliment Kim’s existing organic herb business. 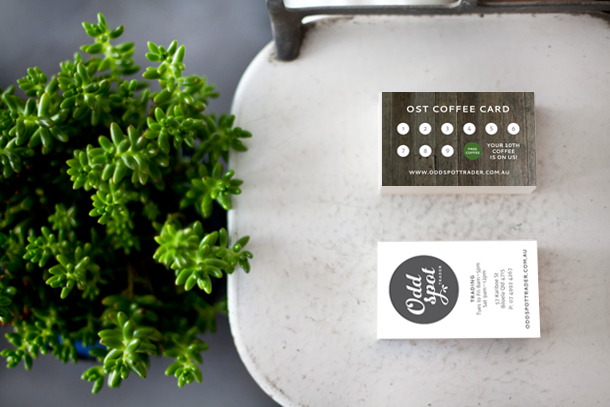 A business card that doubles as a coffee card was designed to reduce printed materials and cost. 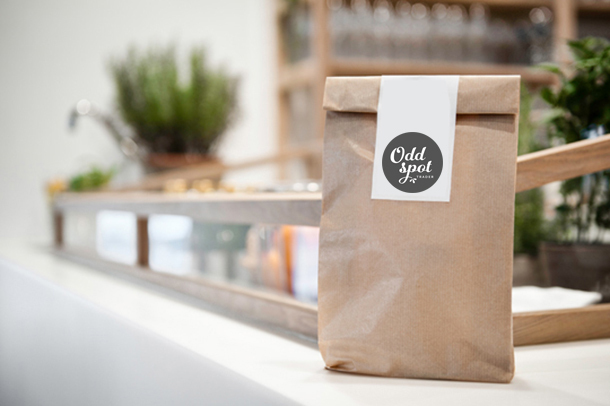 Additional branding components included, ink stamp, product stickers, promotional flyer, building signs, Facebook design and website landing page.